The Bloc's campaign, "Hearing Voices of Support," included a Times Square billboard. The hits keep coming for New York City-based ad agency The Bloc, which was awarded the Best in Show in this year's Healthcare Marketing IMPACT Awards. The prize comes a year after being named Agency of the Year. The Bloc's 2017 gold-winning integrated campaign, “Hearing Voices of Support,” earned the Best in Show award for multimedia work toward increasing awareness of schizophrenia on behalf of patients, their families and caregivers, relying heavily on the help of the Schizophrenia and Related Disorders Alliance of America. The Bloc this year also won a bronze award for the Integrated Print Campaign of the Year. 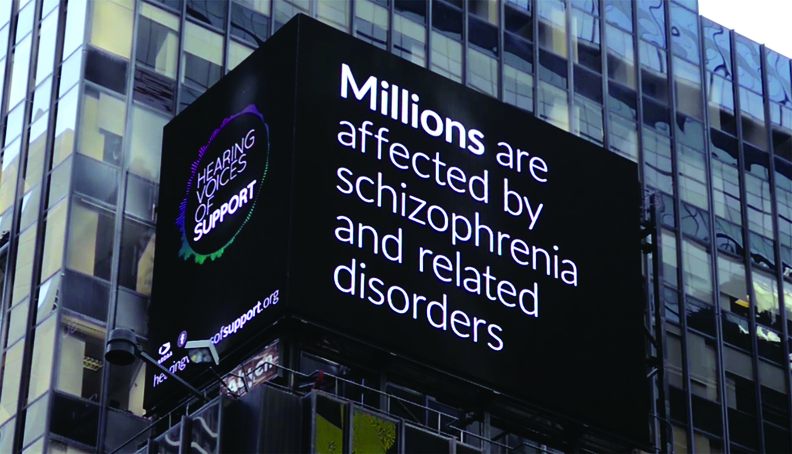 The Bloc chose the challenge of schizophrenia awareness for a pro bono project in part because two people on the creative team have a personal connection to disease, said Sharon Howard-Butler, senior vice president and creative director for copy at The Bloc. Howard-Butler has a family member with schizophrenia and Brit Till, executive vice president and creative director, has a friend who was diagnosed with one of the various schizophrenia-related illnesses. The Bloc's awareness campaign included online video interviews with people who have schizophrenia-related illnesses. 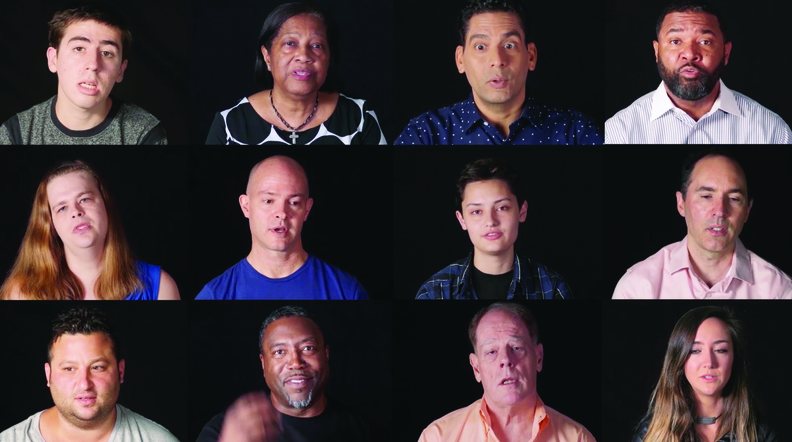 The centerpiece of the campaign was a series of 18 videos in which people who are directly impacted by schizophrenia—either because they're a patient or they know someone with the condition—share their thoughts on how to improve personal connections. The interviewees talk about both the hallucinatory voices they hear and the voices of support they'd like to hear. While having a bipolar diagnosis or, say, depression has become somewhat normalized by celebrities revealing their own experiences with those conditions, that can't be said for schizophrenia. The campaign's flash mob in New York City. Augmenting the videos were: an art installation, a flash mob, the use of Facebook and other social media, a Times Square billboard, airline videos and print advertising. The singer Sara Bareilles authorized the use of one of her songs for the flash mob, which took place in New York City. Interviews with attendees of the art installation, which was held in New York's Tribeca neighborhood in May, can be viewed on the campaign's Facebook page. They describe how their views of schizophrenia have changed as a result of the performance-art focused installation. “It just became so much more relevant to me in so many ways,” said an unidentified attendee in a video on the website.